Do you know that butterfly wings are covered in microscopic scales? 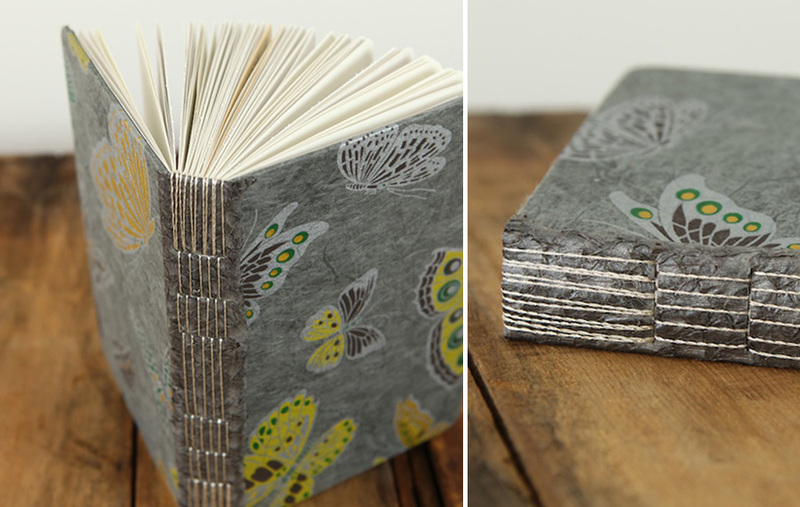 This inspired the combination of materials above: pretty butterfly-patterned paper with pewter fish leather at the spine. The leather has a wonderful scale texture. Take a look at Kellie’s Fine Leathers Etsy shop to see her selection of fish and eel leathers. They are great for a variety of projects. 2012 Planner – Better Late than Never! I’m usually a bit behind the times. In this case, I just put together a planner for the year. 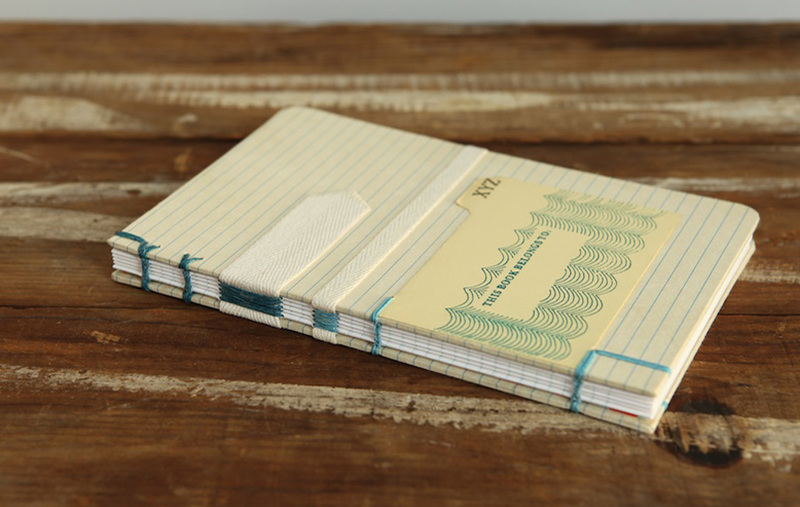 It combines two different bindings and various materials, including printed kozu paper, twill tape and a vintage index card divider. The inside pages are printed from our Droplet planner pdf. Now I can start to get some things done! I was recently inspired to push my current knowledge of Japanese binding to a new level. 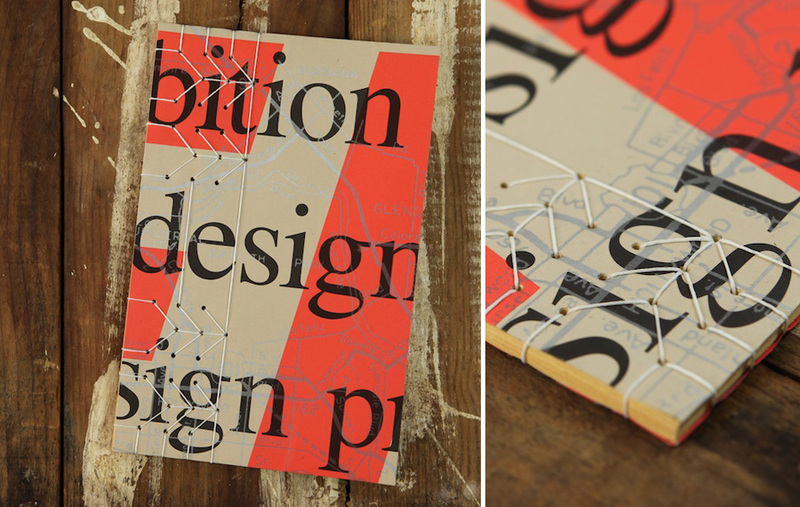 This type of binding moves past the boundaries of function and more in the direction of form. There is so much potential here! I’m excited to try more. The cover of this book is cut from a UCLAx poster. Find excellent examples of decorative Japanese stab binding patterns at Becca Making Faces. You are currently browsing the Erinzam News weblog archives for February, 2012.